Answers by David Katz, chief judge of The American Prize. Q: Aren't so-called "romantic" or "accessible" works more likely to win The American Prize? A: I hate those terms as much as you probably do, and the short answer is a resounding "NO." "Challenging" music, whatever that means, elegantly crafted, performed at a level of accomplishment where its merits are clearly discernible, is every bit as likely to win The American Prize as more conventional works. We have no compositional axe to grind here—other than to bring to the larger musical community information about valuable pieces with which it may not be familiar. I charge my fellow judges to favor no style over another as a matter of policy, make every effort to avoid bias and conflict of interest (the judges' guidelines are particularly clear on this last point) and try to provide well-considered evaluation at every stage of the audition process. The best music, in the opinion of the judges—the work that most closely fulfills its artistic intent, regardless of style—should win. Anything we at The American Prize can do to raise the profile of the art of musical composition through the winning works we select, helps regain for American composers some of the attention and respect they once had, and still deserve. Here are answers to other questions we have received from composers about The American Prize in Composition. Q: Why must composers send recordings? Why don't you just accept the scores? 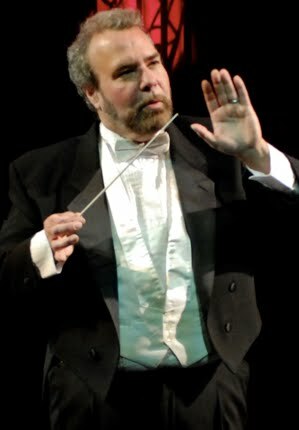 In an age when second hearings are sometimes more difficult to obtain than premieres, TAP provides a forum for the composer who has already accomplished thousands of hours of toil—shepherding a work from conception through to performance. By being previously performed—whether by a student, community or professional ensemble—submitted works have, to a certain extent, already been vetted. The scores (and parts) are more likely to be free of errors (and therefore more attractive to conductors interested in additional performances); the recording also helps provide the judges with more than a mind's ear conception: music being an aural art, they can hear (as well as see) the extent to which the composer seems to have satisfied his or her intended artistic aims, taking into consideration who is performing, of course. 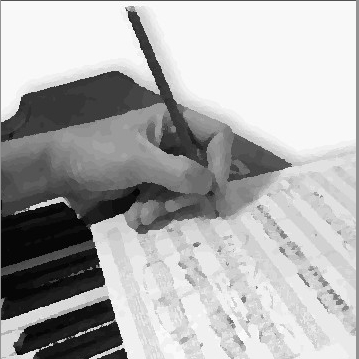 As for printed scores, of course many composers have their music available as PDFs, but speaking as a conductor, I like to have the score open before me: I like to easily turn the pages, turn back quickly, check a fact, confirm a hunch, observe on the printed page the geography of the work. Music is far easier to read on paper than on a computer screen, where the monitor may be too small to see the whole page, or too small to read the notes. II. What type of composers does The American Prize attract? A: Serious ones, both professionals and students. A number of composers we have heard from generated additional performances of works directly as a result of their placement in the competitions. We are told that The American Prize helps give its laureates a way to cut through the welter of "noise" in the marketplace, to derive local, regional and national attention for their work, while seeking to provide contestants at various stages of the selection process—whether they win or not—with visibility and feedback far beyond the modest application fee. Click on the WINNERS button on the homepage of The American Prize website to see our composer laureates. Q: I am an American citizen living outside the U.S. May I still apply? What about recordings by foreign ensembles? A: Perfectly fine. The competitions of The American Prize are open to all U.S. citizens, whether living in this country or abroad, and to others currently living, working and/or studying in the United States of America, its protectorates and territories. All application fees must be remitted in U.S. funds. Recordings by student, community or professional ensembles from anywhere in the world are acceptable. Q: What about fees? Is the application $40 per piece? A: No. Because each contest is judged completely independently of the others, the fee is $40 per category. The five categories are: orchestra music, choral music, band music, chamber music or music for opera, theater or film. Up to thirty minutes of music may be submitted in each category, even longer if an individual piece has a duration longer than thirty minutes. There is no limit to the number of categories a composer may enter. Some enter in all five. Q: Does The American Prize favor one recording format or online option over another?